Now a 6-part Netflix original mini-series: in Alias Grace, the bestselling author of The Handmaid's Tale takes readers into the life of one of the most notorious women of the nineteenth century. It's 1843, and Grace Marks has been convicted for her involvement in the vicious murders of her employer and his housekeeper and mistress. Some believe Grace is innocent; others think her evil or insane. Now serving a life sentence, Grace claims to have no memory of the murders. An up-and-coming expert in the burgeoning field of mental illness is engaged by a group of reformers and spiritualists who seek a pardon for Grace. He listens to her story while bringing her closer and closer to the day she cannot remember. What will he find in attempting to unlock her memories? 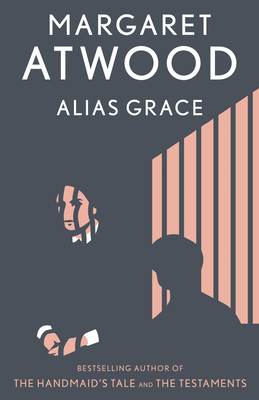 Captivating and disturbing, Alias Grace showcases bestselling, Booker Prize-winning author Margaret Atwood at the peak of her powers.